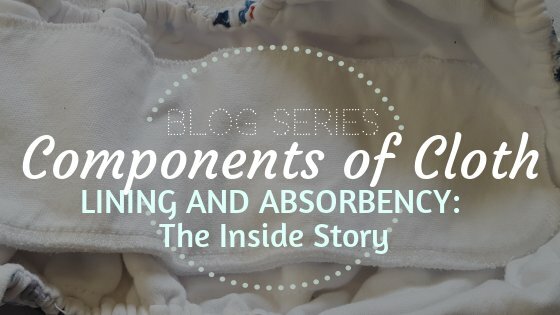 This part of our Components of Cloth blog series covers what’s inside your cloth diaper. 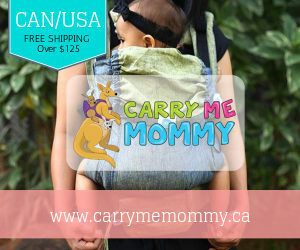 This includes the inside of covers, the lining of all-in-ones and pockets, and the inserts or soakers that make up cloth diaper absorbency. Afterall, a cloth diaper’s main job is to hold in wetness. The inside of diaper shells can be vastly different. 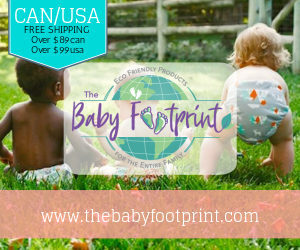 All-in-one (AIO) diapers are typically lined with cotton or something similar, and then have some sort of extra absorbency insert attached on top of that. The inserts might be sewn into the front or back and lay across the diaper. Common materials for the attached inserts are microfibre (covered with microfleece), cotton, bamboo or hemp. If you use an All-in-two (AI2) system that changes out inserts with the intention of reusing the shell- a wipable inside is preferred such as with Best Bottom, Thirsties Duo and Blueberry Capri. If the shell is lined you might have to air it between use when baby wets, such as GroVia Hybrids. With lining or not, covers are tossed into the wet bag when baby poops- unless by some miracle the cover was spared. Diaper Covers are just a waterproof shell and are ideal overtop of prefolds, flats and fitted diapers. Some covers are lined, such as GroVia hybrid shells, and others are simply plain. Unlined covers are easily wiped down between uses. 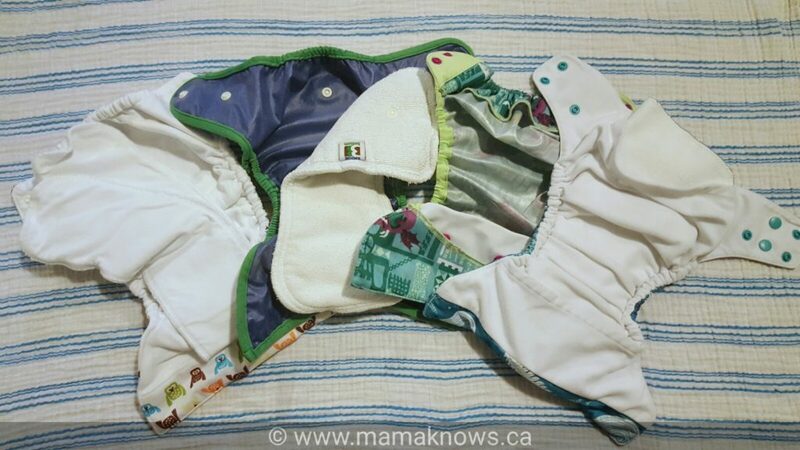 Pocket Diapers have a lining over the shell with an opening to put inserts. Most of the time, inserts are held in the pocket by the pocket itself and do not have snaps. 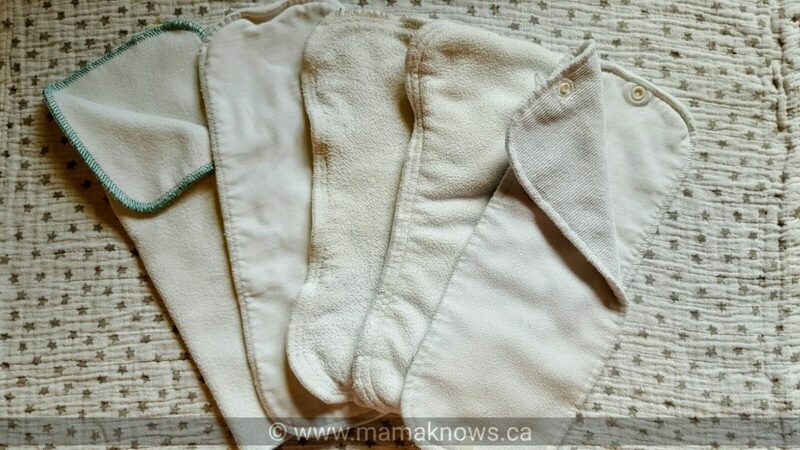 You pull out the inserts after baby soils their diaper, and wash the diapers in two pieces. After washing, you stuff the inserts back in and you are good to go. 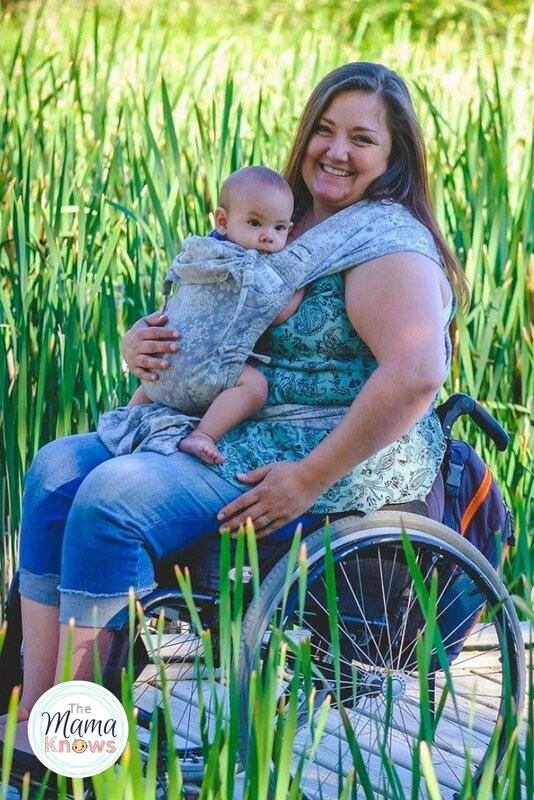 Most pockets are big enough to use many different combinations of inserts to customize cloth diaper absorbency. In a two part diaper system, the cover itself is not responsible for the cloth diaper absorbency. 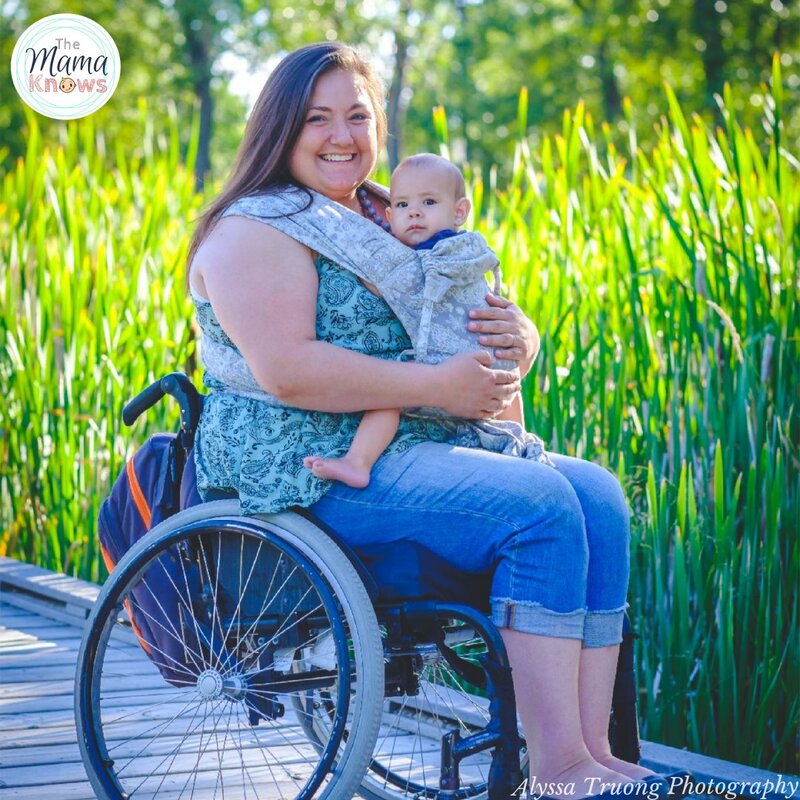 For that you will use cloth diaper inserts (sometimes called soakers) or a prefold, flat or fitted cloth diapers. 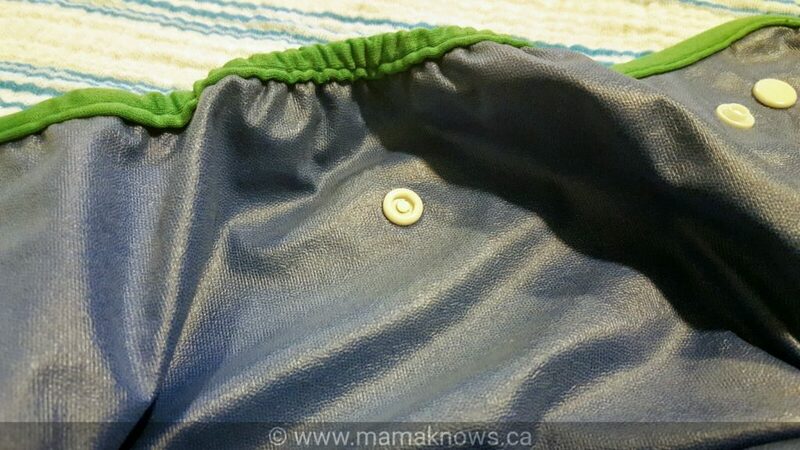 Inserts are placed in or snapped onto shells, and stuffed into pockets. They are available in different sizes, shapes and material. The AMP Bamboo insert pictured above can be folded once for a longer result or tri folded the short way for smaller diapers. Best Bottom contours their inserts, while Thirsties uses a simple rectangular shape. Bamboo and hemp are considered to be more absorbent than microfibre and are typically more expensive. Many people “upgrade” and switch out their microfibre inserts for this reason, but some babies do get great success with it. Some inserts offer a Stay Dry feature. Best Bottom places a layer of microfleece over their microfibre inserts and Thirsties Duo attaches a fleece-topped microfibre insert onto a hemp insert underneath using snaps. The microfleece helps act as a barrier to keep baby’s skin dry. Microfleece and microfibre are not the same thing. Microfibre itself cannot touch a baby’s skin directly. Always place microfibre inserts inside a pocket if they are not topped with a skin-safe layer of microfleece. 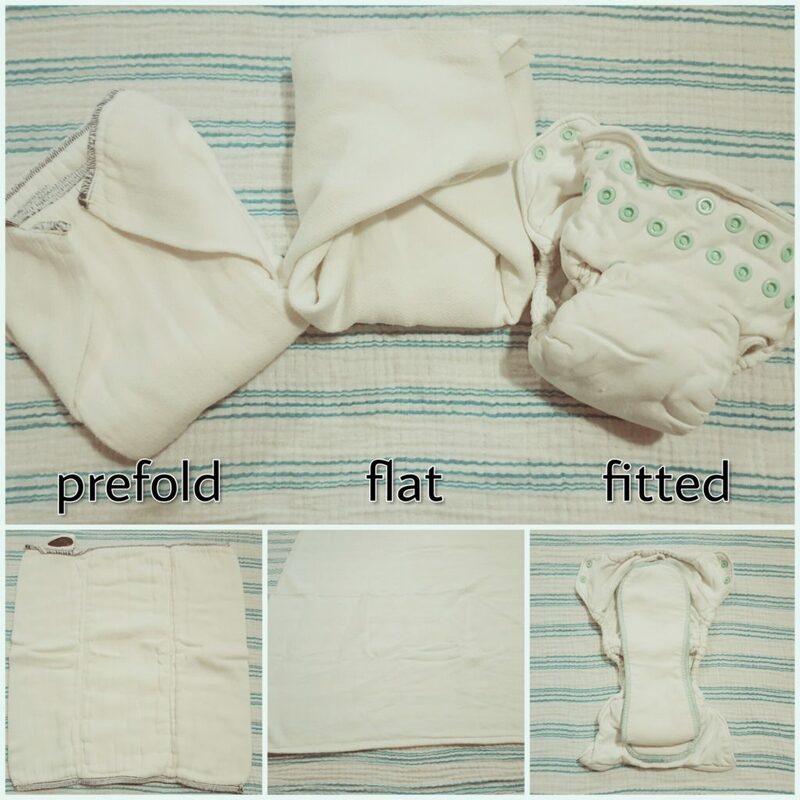 Prefolds, flats and fitted diapers are purely for absorbency and are not at all waterproof. They require a Cloth Diaper Cover. These are more traditional cloth diapers. Many might call them old fashioned, even. But they certainly have their place in modern cloth diapering. Flat diapers are essentially large squares of fabric that you fold and manipulate into a diaper shape. They are then fastened with a pin, or it’s modernized replacement- the Snappi. Advantages to using flats are that they wash and dry super easily and can be folded in many ways to customize fit and wetness zones. Flats are truly One Size. Prefolds are just folded, stitched versions of flats. They have three stitched columns, usually 4, 8 and 4 layers in each column. You fold them more easily than a flat, but folding is still required, as is a fastener. Prefolds come in several size from newborn to toddler. Some people use smaller prefolds as inserts and just keep them pad-folded inside pockets or covers. Fitteds are basically cloth diapers without waterproofing. They have the ability to hold a great deal of wetness and are common choice for overnight diapers. They are made from cotton, bamboo, flannel, or hemp blends. All three of these diapers need covers. But you can use them alone under wool pants too! Instead of more conventional options like inserts and prefolds, you can use Flour Sack Towels, which are in the kitchen towel section of Wal-Mart or Target. Just fold them into an insert shape and stuff. IKEA makes awesome squares of fabric marketed as burp cloths that I use almost daily as Flat Diapers inside my covers. Upcycling is a great way to reduce waste and save money, which are key reasons to cloth diaper in the first place. Get creative! I’ve cloth diapered with repurposed old t-shirts, burp cloths and receiving blankets successfully. You can even sew some old wool sweaters to make wool covers. 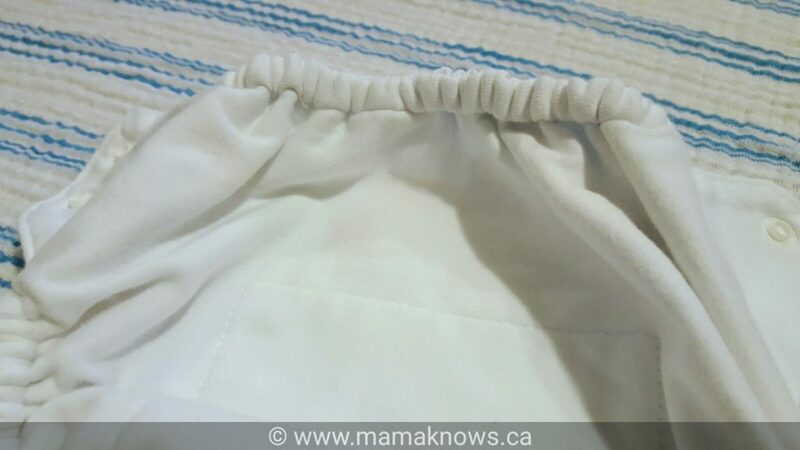 Wool, when properly lanolized, makes a great natural fibre cloth diaper cover. Thank you for making the distinction between microfleece & microterry. That is a confusing point for many people. 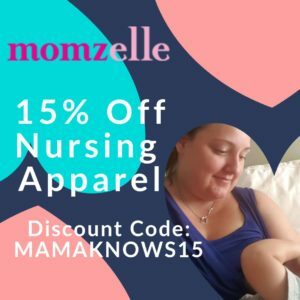 The most surprising part of cloth diapering my 9 mo. old grandson is how we need to keep trying different insert combinations as he grows to deal with his heavy wetting. I have found some great solutions, but of course they tend to be pricey, so I’m always stalking b/s/t sites for them. I would love to try an AMP hemp insert.